Come stay in one of our lodges any time of the year! This building used to be the main house on the farm. The second floor was removed and the remaining structure is what used to be the ground floor. The lodge has 3 bedrooms, living-room, big kitchen with dishwasher and a bathroom. The lodge overlooks the pear and had a lovely view across lake Isteren towards mount Sølen. Solgløtt is the second lodge you see when you arrive at Gløtberget. This lodge usually gets the first sun in the morning, and has been named accordingly. The lodge has 3 small bedrooms, living-room/kitchen with dining table, settee, dishwasher and a bathroom. Steinbu is set back a bit from the rest of the farm and is the next door neighbour with the BBQ area. 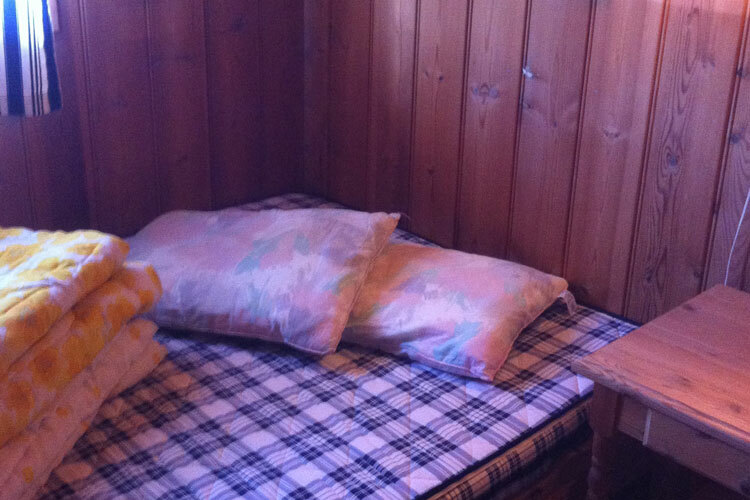 The lodge has 3 bedrooms, full kitchen with dishwasher, living-room and bathroom. Steinbu is our most popular lodge, so please book ahead if you prefer this lodge. Mariebo is our smallest lodge, with just one bedroom, a small living-room and kitchen, and with a bedroom with occupancy for 3 persons. There is no water here, but you have full bathroom facilities in the facilities building located just a few meters away from the lodge.